Mil-Tec was created to bring the shearing action of traditional solid carbide machining to indexable carbide face & end milling. Along the way we pioneered and patented the Freedom Cutter® (allowing 3 insert shapes to fit into the same cutter body pocket) and the Mil-Loc (a positioning device allowing 8 indexes on a round insert). We use only the best technology available from throughout the world, combined into a product line that offers the ultimate in milling application productivity. 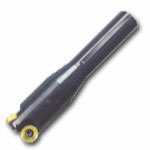 All of our inserts are precision ground and are suitable for use on a diverse range of materials and machine tools. Our toughest task in application training is getting prospective customers to run our product FAST ENOUGH to take full advantage of the Mil-Tec design. Once accomplished, a Mil-Tec customer is usually one for life. We guarantee your satisfaction. This Company was created with a total “white-paper” approach; there are no compromises regarding performance. Our goal is to delight our customers. We are extremely proud of the Mil-Tec product line, and are confident you will enjoy using it as much as we enjoy manufacturing it. The Company created and patented the Freedom Cutter, allowing square, octagon, and round inserts to seat in the same cutter body. Our 100% precision ground carbide inserts provide incredible shearing via positive geometries & work excellent within a wide machine tool spectrum. 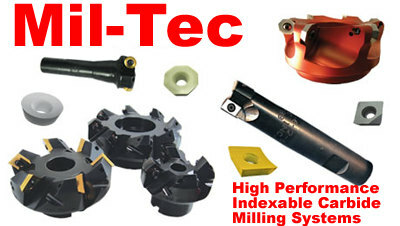 Mil-Tec is dedicated solely to the indexable carbide tooling industry. We are privately-owned, operate with long-term focus and goals, and manufacture 100% of our products within our ISO 9001:2000 Registered factories. Our substrate, geometry, and coating are specially selected for each application and Series. 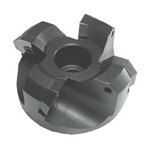 Our cutting tools have extremely accurate diameter, radius, and concentricity characteristics. Our edge prep process provides toughness and strength. Our grinding method and coating technology yields an extremely sharp & long-lasting cutting edge. We perform in-house, 5-axis cutter body machining and testing. We offer proprietary coatings such as A1 (TiB2) and AT (HSN2), all performed in-house for quick delivery. Our inserts are also completely proprietary / Non-ISO. We can stock firm blanket orders. We are able to quickly quote and manufacture print specials. Both fractional and metric (separate catalog) size ranges are offered. We have sales offices in both coastal time zones (Florida and California). We have large standard inventories and excellent service levels. The MIL-TEC FREEDOM CUTTER® System is an innovative approach to high performance, system based milling. It incorporates interchangeable, application based insert geometrics in a single patented pocket design. Simply by changing the insert the operator can adjust the geometry of the cutter to accomidate the application at hand. This concept of multiple and interchangeable geometric configurations allows the FREEDOM CUTTER® System to offer both performance and diversity of tool geometry that is unparalleled in the industry, making the vast majority of indexable-inserted milling cutters available in today's market obsolete. Power Shear Medium Dish - Medium Positive Grind for steel, stainless, and exotics. Tghe perfect "all application" geometry. Mag-Na-Shear - Molded and ground chip control; ideal for stainless and exotics. General Purpose Flat Top - Flat Top grind for all materials. Square 90° with 4 Indexes. Maximum high positive grind for square inserts with 90° shoulder.